There are times when the best thing for a child is to be adopted by a family member, a kinship relative (defined as someone bonded with the child but not biologically related), or a stepparent. At The Villages, we do everything we can to help support these adoptions, and find permanent, loving homes for children who need them. Our services include home study completions and background checks, and we’re available to help answer questions as you move through this process. With these kinds of adoptions, families can typically complete the necessary paperwork and home study process within two to four months. The time necessary to finalize the adoption will vary by attorney, so contact them to discuss their typical timelines. 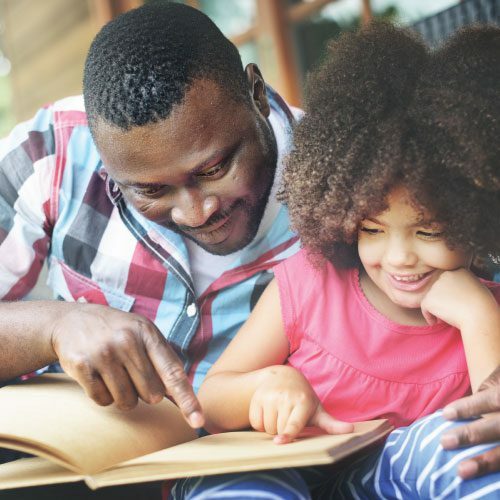 These adoptions can provide a tremendous sense of security and permanency for the child by formalizing an existing bond. And it allows a person already close to the child to legally become his or her parent. It’s exactly the kind of relationship that we know can help children flourish. The requirements for this kind of adoption can depend on the specific circumstances of every case. To make sure we give you the right information, please contact us directly. When you do, we can also explain how our fees work and how they’re structured. You should also consider that there will be private attorney fees, which will also vary based on your circumstances. Relative and kinship adoptions provide children with a deep sense of security. Are you a kinship parent looking for support but not ready to adopt? Discover our Family Connection Network.